The V-Blade Clipper is a durable high performance, clipper, designed for continual professional use. 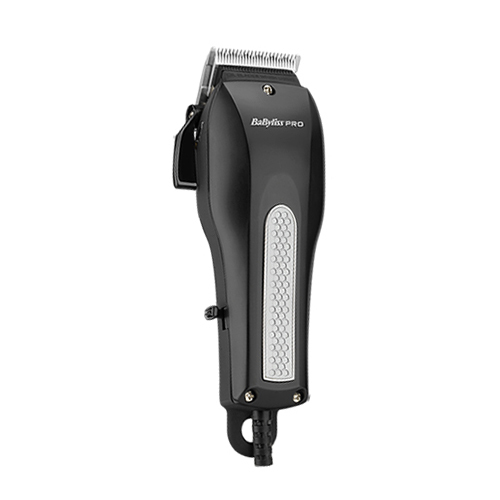 It features precision engineered, hardened Japanese steel blades that have a unique super sharp V cutting angle for smooth, effortless cutting even on longer and thicker hair. The convenient adjustable taper lever allows you to vary the type of cut required without the need to change the blade. All this, together with stylish comfort-grip housing and a high power long-life motor, delivers truly top professional performance making it the ultimate in hair clipping.